Our Newest Engine - Four cylinder, four cycle smoothness at 2600 RPM! 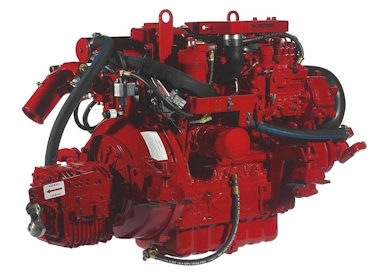 Designed by Westerbeke, pioneers in lightweight marine diesel engines, the 65B Four is a compact four-cylinder engine perfect for difficult installations. The 65B Four provides a power to weight ratio to be envied while requiring modest engine room. Adobe Acrobat Reader is required to view the files below. Please be sure to visit our Used & Surplus page for great prices on Westerbeke Marine Diesel Engines.